UPDATE 9-17-14: High quality fake IDs are continuing to come into the U.S., posing a challenge to anyone — such as Notaries — whose job requires them to verify identities. The latest report comes from De Pere, Wisconsin, where police warned local businesses about a Chinese website selling fake IDs to college students online, according to local news reports. Law enforcement authorities in the U.S. have been complaining for years about fake IDs coming from Chinese websites. In one year alone, a single field office of the U.S. Customs and Border Protection confiscated nearly 100,000 fake IDs (see the October 2014 edition of The National Notary magazine). While authorities in De Pere warned college students of the risk of identity theft due to requests for students’ names, photos and signatures, these IDs could be used to commit more serious fraud than getting into a bar. De Pere police told local media that the Chinese website could use data from customers to make fraudulent purchases of cars, homes or to evade law enforcement. Check if the signer’s appearance and age matches the description provided on the ID. If the ID lists the signer’s birthdate as “1969” but the signer appears to be only in their early twenties, the signer’s height or eye color doesn’t match or there are other clear discrepancies between the signer and the ID’s information, the ID is likely to be falsified. You may ask a signer to provide a secondary ID to help confirm the information on the primary ID. If the information on the secondary ID is significantly different from the primary ID — for example, names, addresses, birthdates or physical descriptions don’t match — that’s a warning sign the primary ID is a fake. U.S. Senators are calling on the People’s Republic of China to crack down on Chinese companies selling fake IDs via the Internet. False IDs are used to commit a wide variety of crimes, including identity theft and document fraud, and they are sometimes used by scammers attempting to pose as someone else during a notarization. In a letter to China’s ambassador to the United States, Senators Mark Kirk and Richard Durbin of Illinois, along with Senators Chuck Grassley and Tom Harkin of Iowa asked the Chinese government to put an end to businesses selling fake U.S. driver’s licenses and government documents. The senators alleged that Chinese companies are selling fake IDs online and then shipping them to U.S. customers hidden inside other packages such as puzzles or clothing. 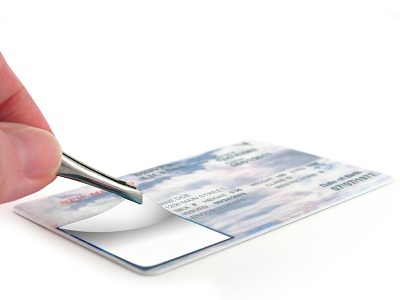 Notaries should always be alert for signs that an ID is fake or has been tampered with, including inconsistencies between the signer’s age or appearance and the information on the ID, peeling or unusually thick laminate on the card or missing holograms or other security features. Hotline Tip: What Is An International Driver’s License? Also, a cheap black light can illuminate holograms on most DL's. Compare them with what should appear using the National ID, Driver's License by State book available here and elsewhere. This is good information but what should a notary do if he/she suspects an ID is a fake? Should it just be left at not notarizing a document or does a notary have an obligation to contact authorities? Hello Kathy, If you have reason to believe that someone is attempting to use a fraudulent identification, you should certainly refuse to continue with the notarization and make a note of the reason in your journal. If you see signs that the fake ID is being used to try and commit fraud or other criminal activity, you should notify law enforcement authorities. Yes, check for the holograms, and also carry a high-powered magnifier to verify the presence of micro text where it should be. I have never had a client question me about the extra scrutiny, and it gives me more peace of mind.